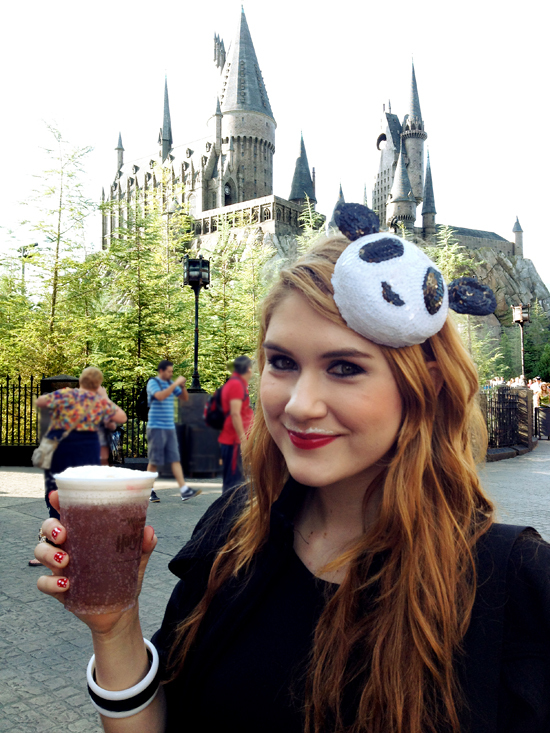 The Joy of Fashion: Orlando Day 3, Part 1: A Panda in Islands of Adventure! 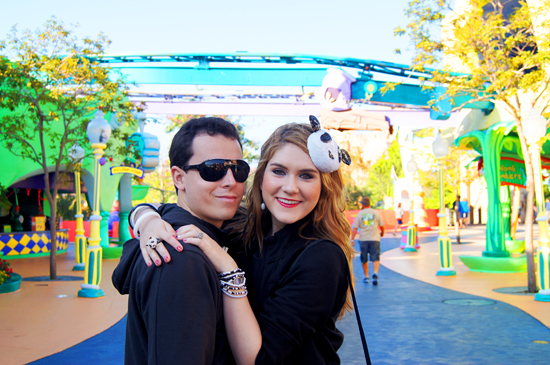 Orlando Day 3, Part 1: A Panda in Islands of Adventure! 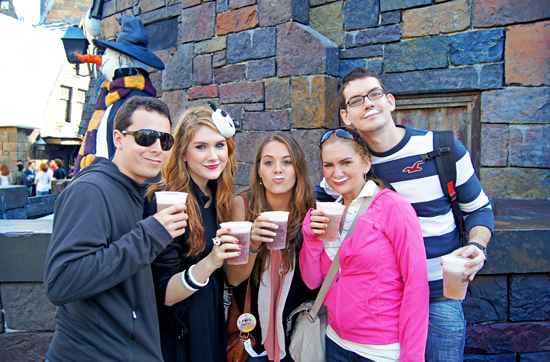 For the third day of our fantastic trip, we decided to go to Islands of Adventure, Universal Studios, and the Halloween Horror Night!! 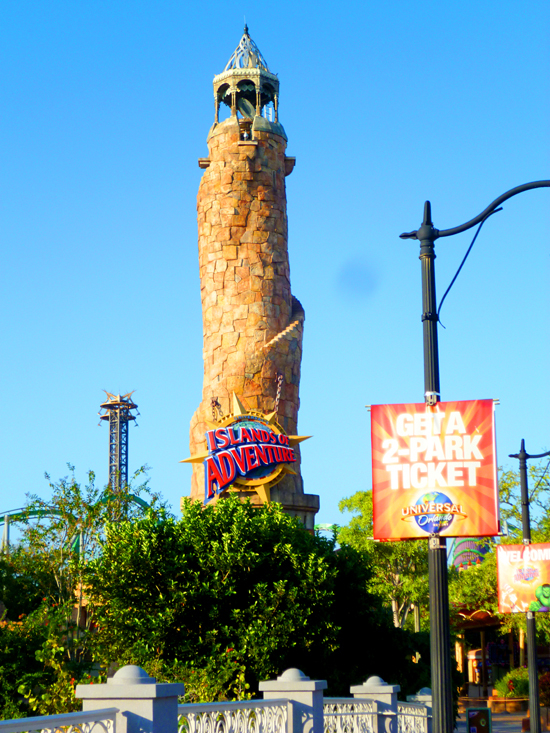 Here are the photos from all of our fun at Islands of Adventure. 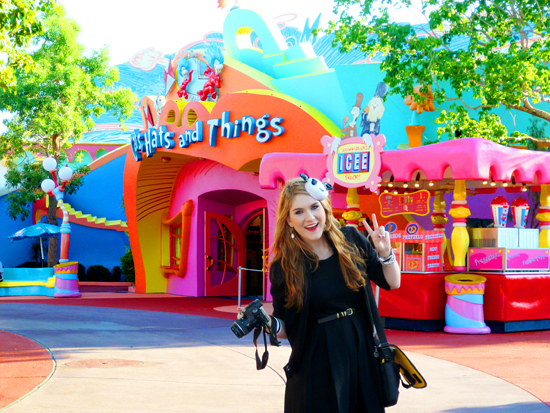 We first walked through the Dr. Seuss area of the park (photos above) which is all wacky and colorful (love it!). 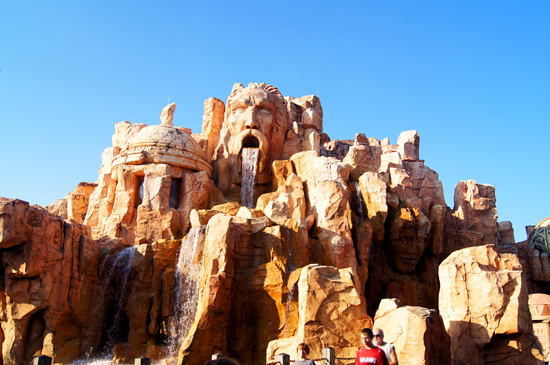 And then we walked through The Lost Continent area, which is pretty cool looking as well (who am I kidding, EVERYTHING looks cool in this park... haha). 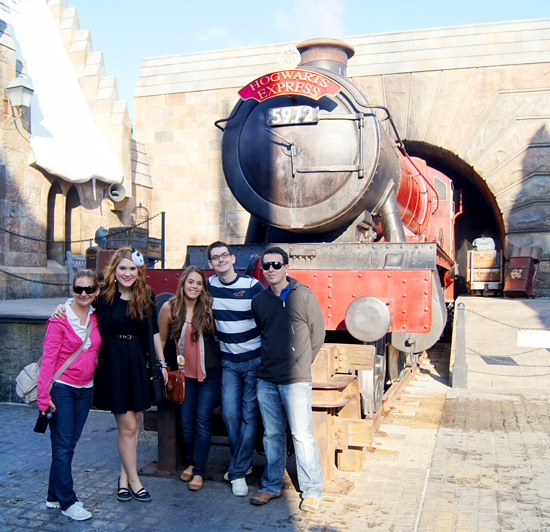 Then we finally reached my all time favorite area of the entire park: the Harry Potter area! I am a huuuuuuuuuggee Harry Potter fan, so walking through the streets of Hogsmeade looking at wands, potions, owls, and robes is like a dream come true for me. 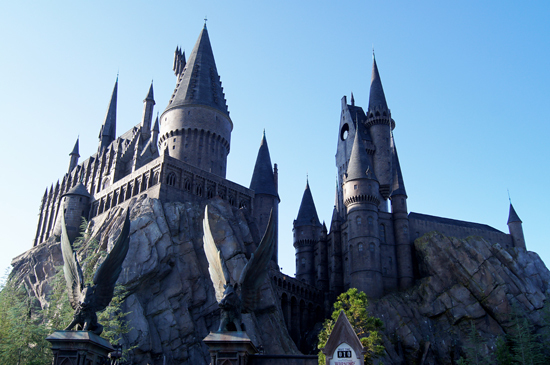 The Hogwarts Castle is just magnificent, as well as the cool ride inside of it. My heart was pumping with excitement just by looking at the castle from a distance. 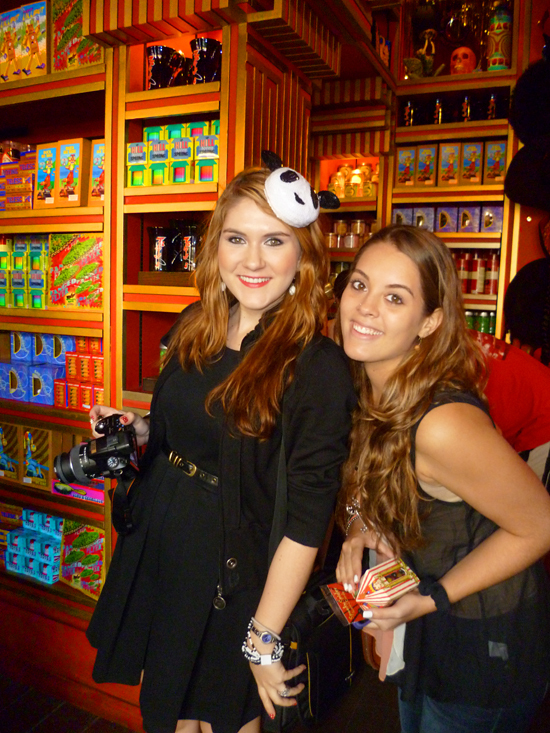 We then visited the aaaaahhhh-mazing Harry Potter themed Candy Store! 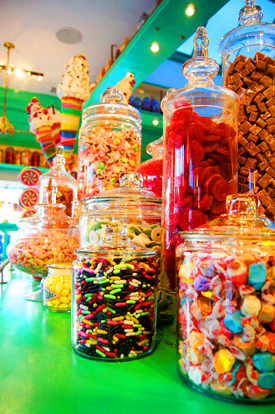 This store has the coolest most wackiest candies. 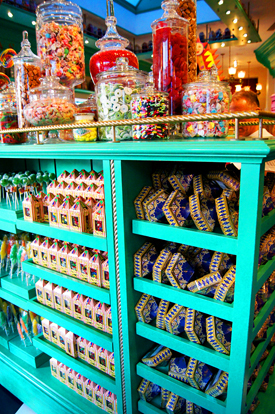 My favorites where definitely the Chocolate Frogs (famous from the first Harry Potter movie) and the Every Flavor Jelly Beans (which I will talk more about later). 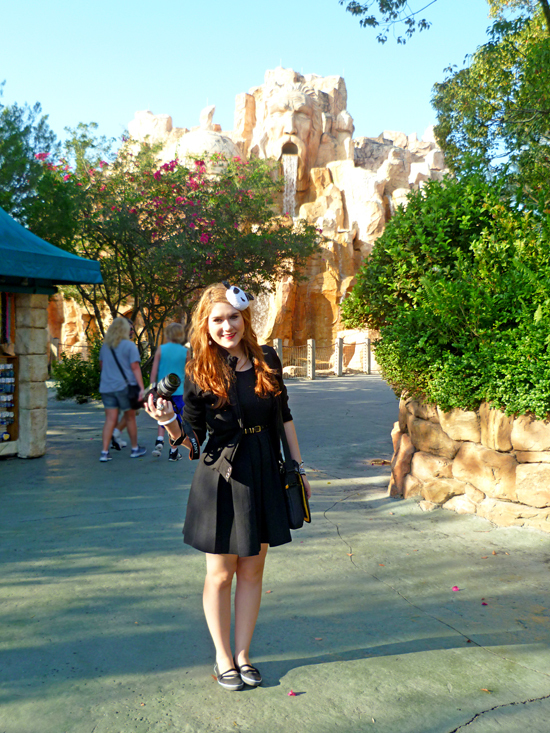 We then walked to the Jurassic Park area! 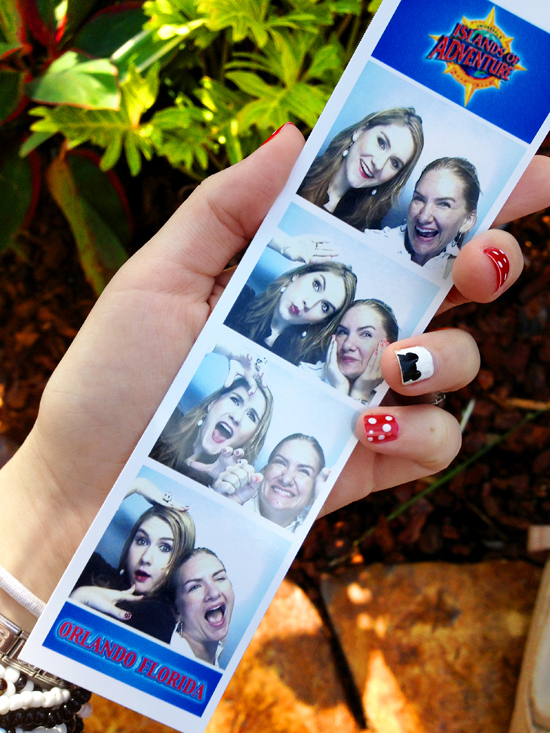 Apart from the fun rides, we also enjoyed being silly with hats and photo-booths in this area. 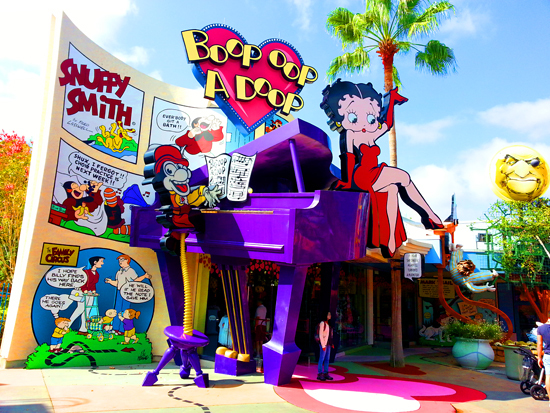 We quickly breezed through the Toon Laggon area, which is awesomely decorated with colorful cartoon characters! Then we hit the most exciting area: Marvel! This is filled with roller coasters and exciting rides. 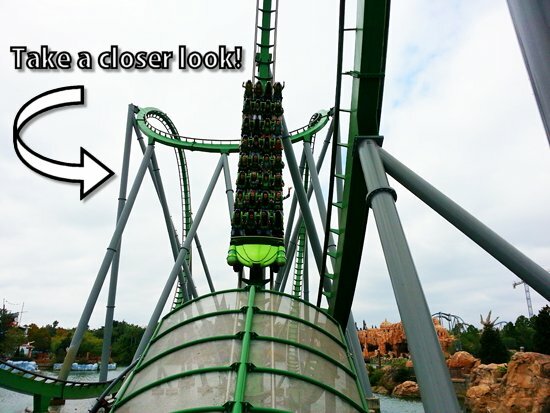 My favorite of the area is The Hulk roller coaster! 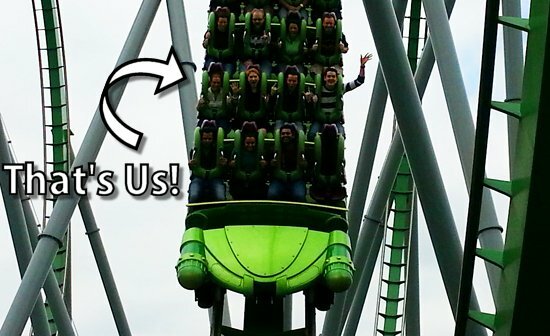 If you take a closer look, you can see us!! See us there? 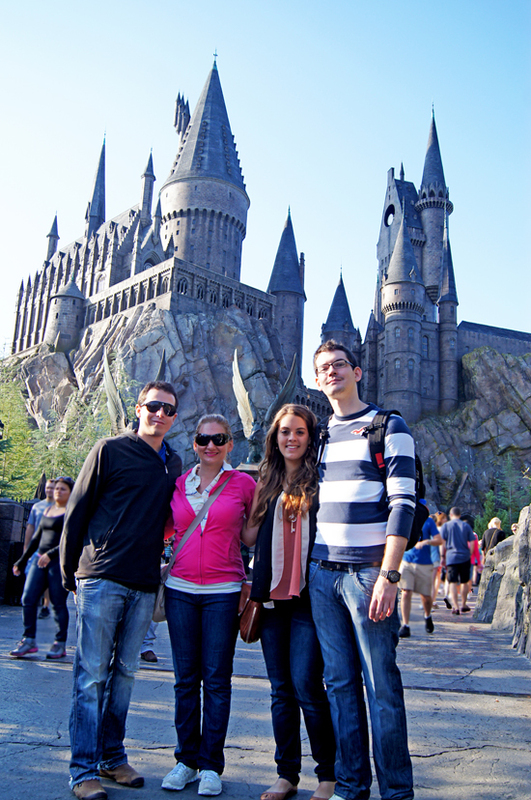 From left to right, you can see my sister, me, my boyfriend, and my brother (who is the guy waving his hand at the camera). 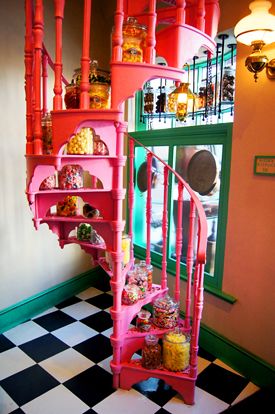 Cool huh? By that time, we were starving! We decided to indulge on some delicious Turkey Legs... yum yum. 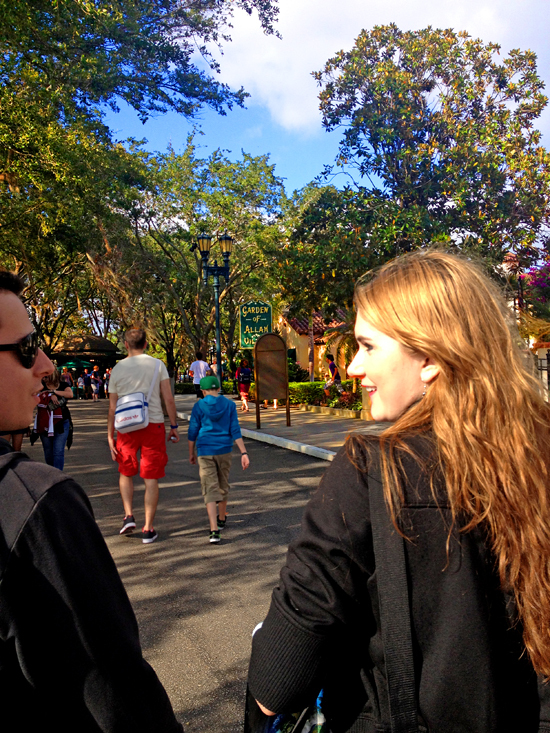 After filling our bellies, we decided to walk over to Universal Studios (a 5-10 minute walk). To entertain ourselves, we decided to play a little game we call Jelly Bean Roulette. 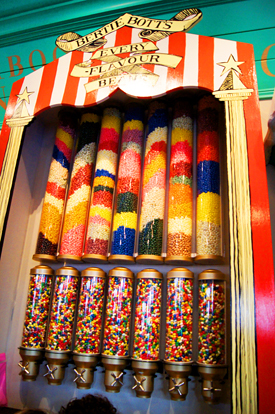 For those of you who don't know, there is a famous candy from the Harry Potter series called Bertie Botts Every Flavour Beans. Its basically a bag of Jelly Beans that has some yummy flavors (like watermelon, lemon, and banana) and some NOT so yummy flavors (like Dirt Worm, Soap, and Grass). 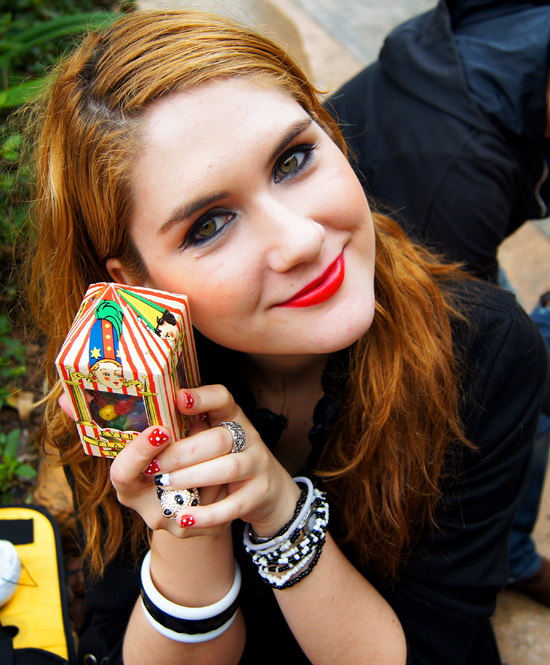 The game is for each of us to randomly grab a jelly bean, eat it, and then film our reactions. If we got a good one, than our faces where happy; if we got a bad one... well, the videos are quite funny, that is all I can say! 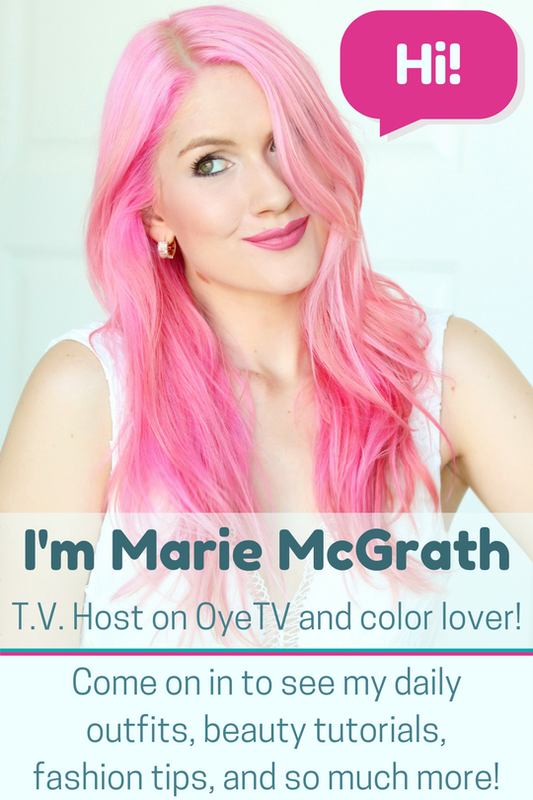 The very first jelly bean I got was a rotten egg flavor (YUCK! 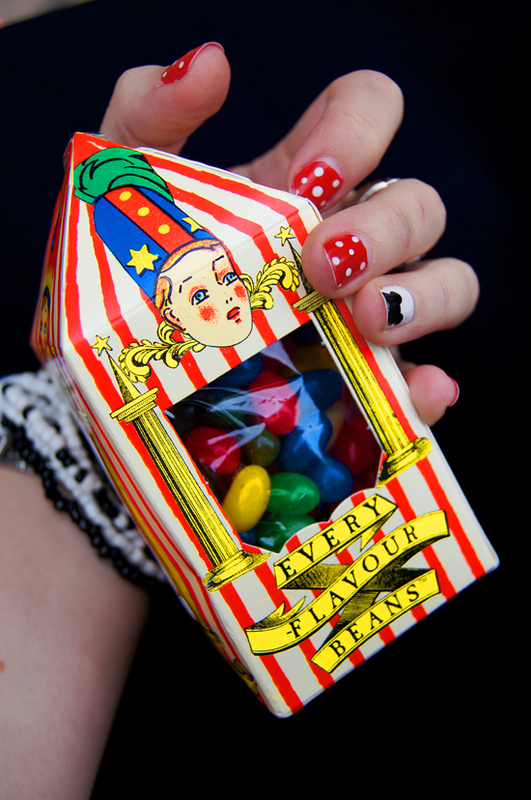 ), and my brother or sister I believe got an earwax flavored bean... hahaha. It was a very funny game. I think this is a contender for my favourite post of yours like EVER!!!!!!! And I pretty much love all your posts!! Ahh, I want to have so more fun like you did!! Love the photos and your outfit is so cute! 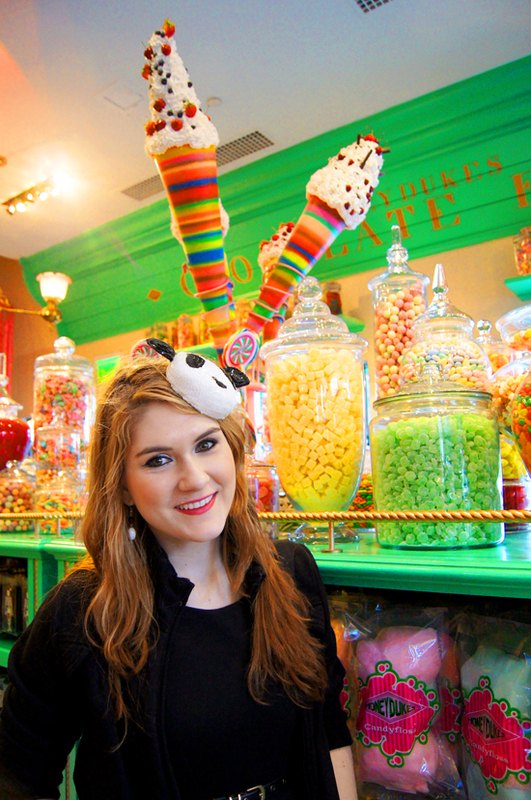 The Panda hat is truly adorable! it looks like you guys are having such a great time! 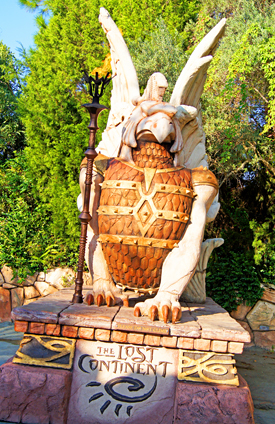 the harry pottery part of the park looks really awesome. i'm glad you're sharing your experience with us! 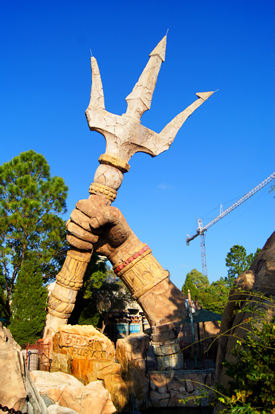 I want to go to Disney World so bad it makes me sick.. :( I don't think I'll ever be able to afford it. 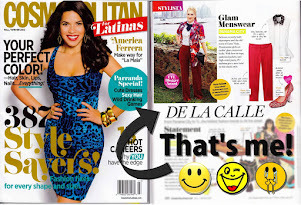 Thanks for posting all this so I at least can see it all! Hello Jilma!!! Thanks for saying you enjoyed my photos, that makes me so happy! 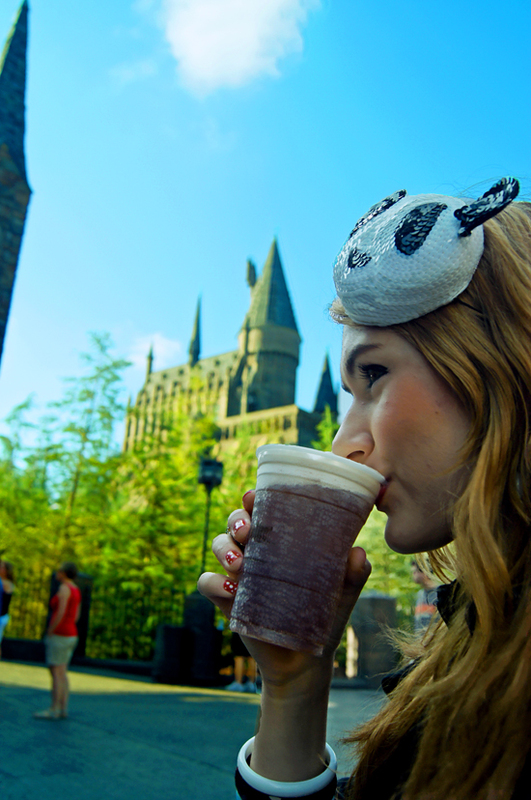 The butterbeer is absolutely deeeelish! It kind of tastes like a butterscotch soda float. So it sort of has a sweet caramel flavour, which a delicious foam on top. I hope you taste it someday! 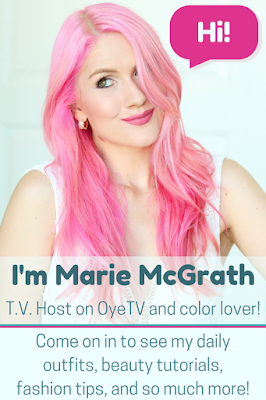 I've loved looking at all your vacation pics Marie! 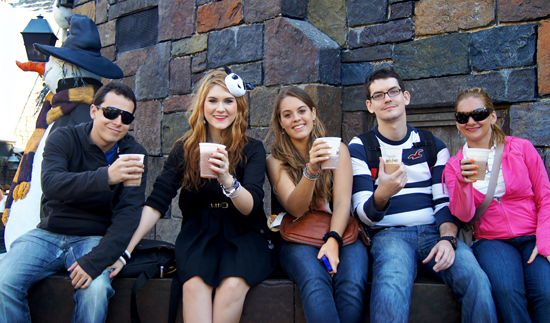 Looks like such a fun trip, and what a great group to make it with! 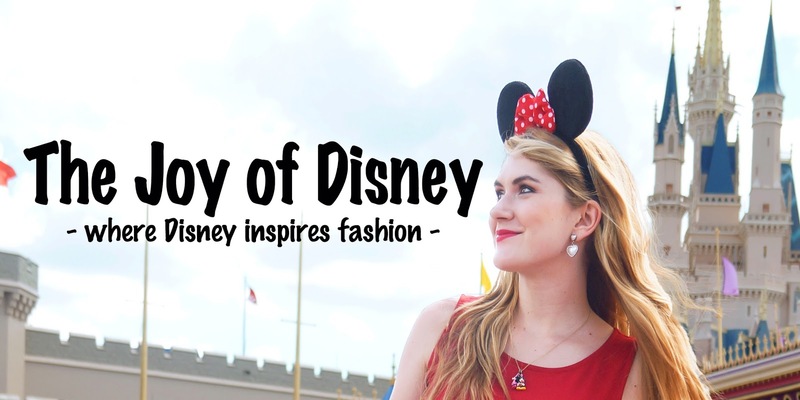 I've never been to Disney World but it looks like SO much to do! You guys certainly made the most of it. Also, love how you incorporated little costumes into all your outfits, you are so cute! Seems like you had a lot of fun. que rico!!! 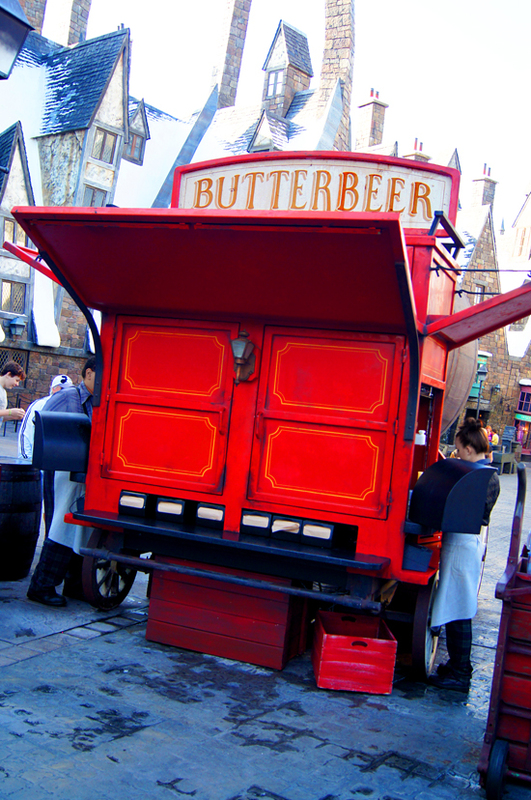 yo quiero butterbeer!! con extra espuma!! jaja...a mi me gusta mas la cool que la frozen cual t gusta mas? Hello Jilma!! I could have SWORN that I already answered this sweet comment of yours, but I guess I didn't? So sorry about that. 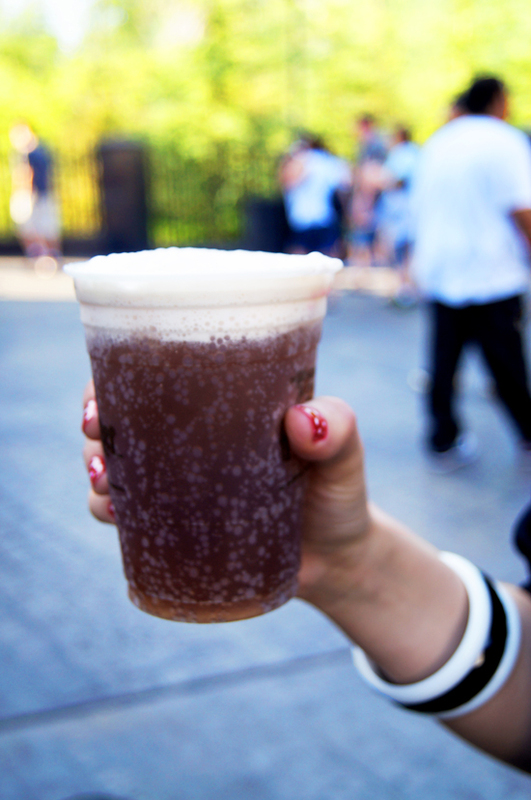 To answer your question, the Harry Potter butterbeer tastes sort of like a butterscotch soda float. So it has like a caramel taste to it, and it has some creamy espuma on the top. You should taste it sometime! MAN! 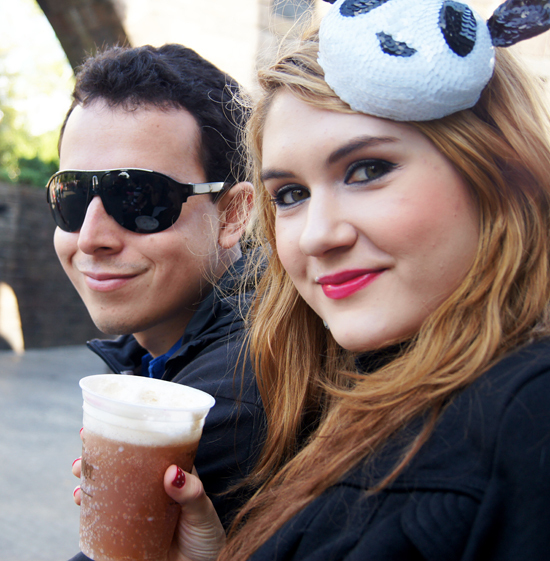 Toy antojada de Butterbeer y todoooo!!! En verdad nunca he probado la frozen, siempre pido la regular. Es verdaderamente DELICIOSO. YO QUIERO.